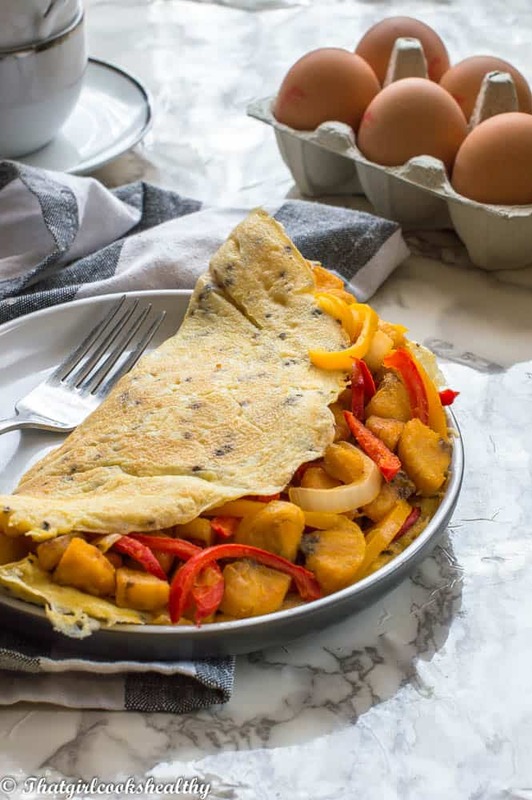 Vegetarian omelette recipe – A delicious paleo breakfast omelette with filled with sauteed onions, bell peppers and chopped plantain. Omelettes are probably one of the most popular types of breakfast around. At some point in time you’re probably eaten an omelette in the morning. I’m a huge fan of a vegetarian omelette, smoothies, porridge and oatmeal to kick start my day because they are loaded with complex carbohydrates that yield energy. What goes in a vegetarian omelette recipe? This is a question that is probably asked the most. Therefore, I took it upon myself to highlight what is typically found in an omelette and what makes my recipe……more unique! The most common ingredients are spinach, kale, tomatoes, mushrooms, bell peppers and cheese. 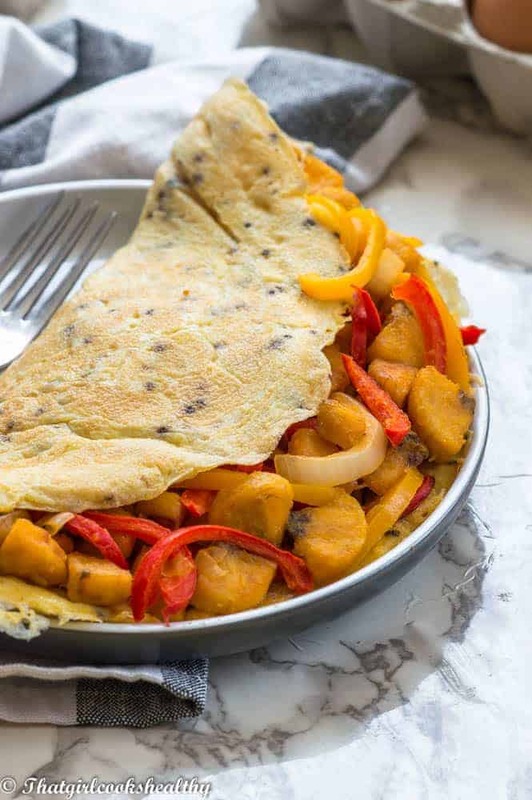 However, I wanted to make an omelette that had a similar principle with the vegetables only with a Caribbean flare so the filling contains chopped plantain, bell peppers and sauteed onions. The cooking process is pretty much the same as an ordinary omelette expect the filling is very contemporary. 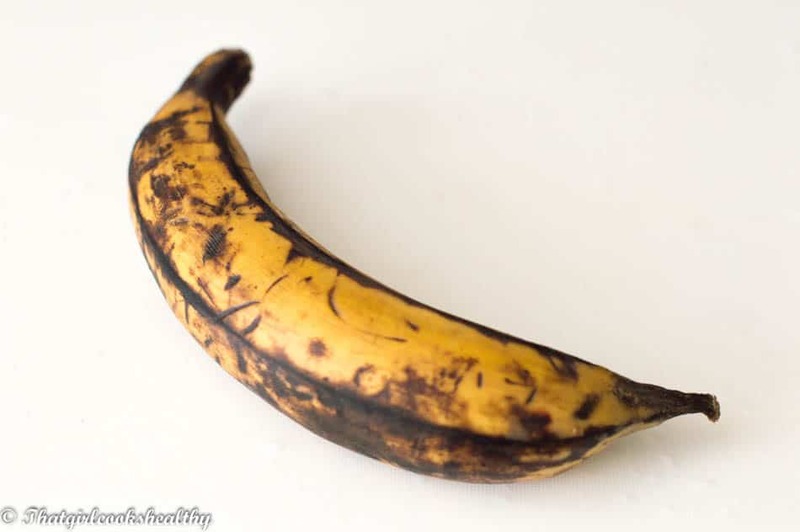 I would suggest using a ripe plantain (skin will be yellow with dark spots). 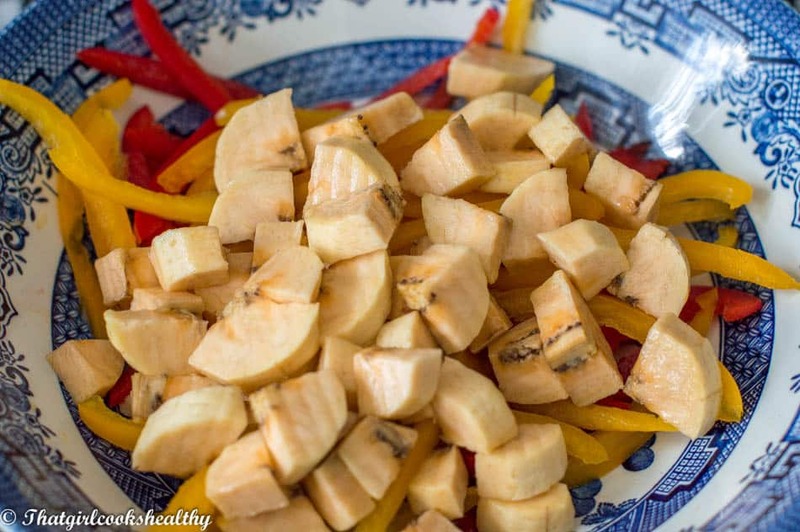 Chop the plantain into small pieces (see picture below) along with the onion and bell peppers that need to be sliced thinly and cook in a small frying pan. It’s best to cook the filling ahead of time so the whole cooking process is done fairly quickly. Plantain is very easy to obtain nowadays especially if you live an ethnic neighborhood. The omelette calls for 4 eggs in total, if you want to make the recipe more high protein and less fat I would suggest tweaking the egg whites and yolk ratio. Perhaps going with 3 whites and 1 yolk instead. With the total use of 4 whole eggs this makes the recipe more calorie dense and a rather large omelette serving. The great thing about this recipe is the leftovers and trust me there will be plenty. Save any leftovers for another day. Simply store your omelette in the refrigerator and eat at your leisure. 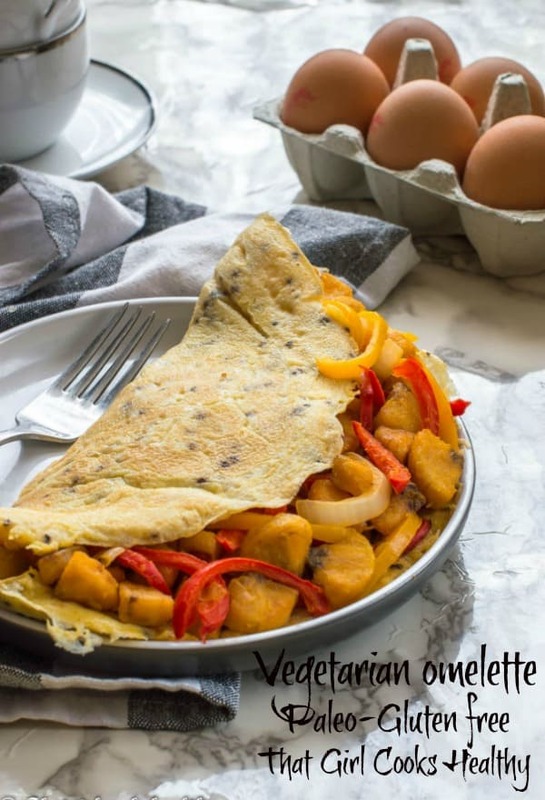 If you’re one of those people who is in a rush in the morning then this omelette is a life saver – cut into quarters, store the remainder and eat!! 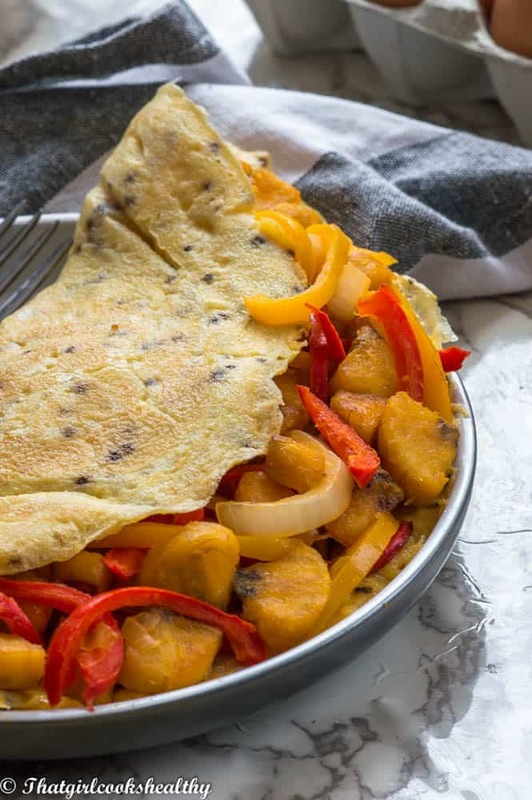 This omelette is a combination of sweet from the plantain and savoury courtesy of the vegetables and eggs. One bite of this omelette and you will truly be in food heaven. The complex carbohydrate filling will keep any hunger pangs at bay because the entire omelette is hearty and not to mention delicious. Can I make a vegetarian omelette recipe without eggs? 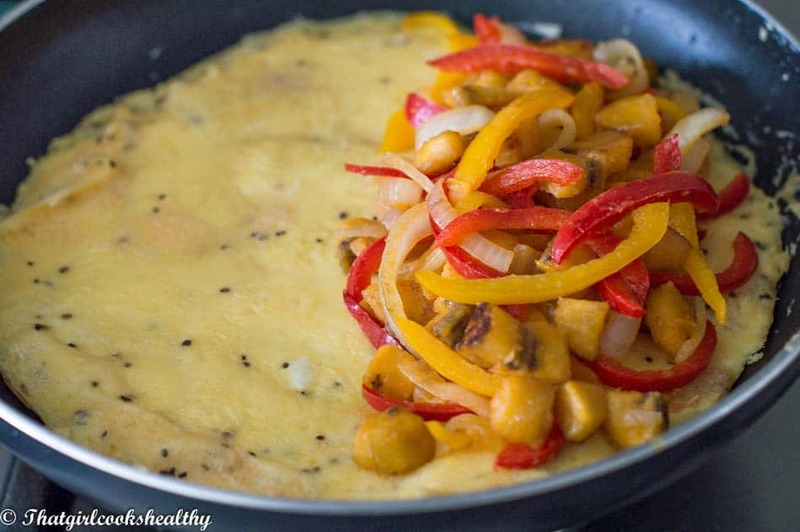 Yes you can, some vegans make their omelette using the using chickpea. You make the omelette the exactly same way as you would do with eggs, only you make a batter with chickpea flour and water first. Then you would follow the recipe steps. In a medium bowl, whisk the eggs, black pepper, thyme, pink salt and set aside. 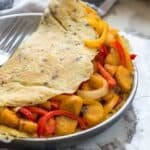 In a small frying pan melt 2tbsp of coconut oil on medium heat, add the onions, plantain and sliced bell pepper and cook for 5 minutes until lightly golden brown and tender. In a large frying pan on medium heat, another tablespoon of coconut oil then pour the egg mixture into the frying pan. Cook the omelette until the egg begins to set. Check the readiness by using an egg spatula to lift the side of the omelette and tilt so the egg runs over the sides. Use an egg lifter to remove the omelette and serve accordingly.